SACRAMENTO, Calif. /California Newswire/ — Today, California State Senator Alex Padilla (D-Pacoima) called on the NCAA to raise their standards and adopt strong rules that require continued academic and medical support for injured student-athletes. “My thoughts and prayers go out to Louisville basketball player Kevin Ware for a speedy and complete recovery,” said Senator Alex Padilla. “Considering the high profile nature of his injury, I am optimistic that he is receiving the best of care. Unfortunately, however, current NCAA rules do not require colleges and universities to pay for the medical care of an injured athlete. His injury is a disturbing reminder that the NCAA lacks the most basic protections and guarantees that would help injured student-athletes complete their education. It is hard to imagine, but the NCAA allows colleges and universities to summarily and unilaterally withdraw an athletic scholarship when a player is injured. With no obligation to provide an alternative academic scholarship, it often marks the end of the student-athlete’s career both as an athlete and as a student,” Padilla said. “That needs to change,” Padilla added. Indeed, despite its stated core mission of ‘integrating intercollegiate athletics into higher education so that the educational experience of the student-athlete is paramount,’ the NCAA currently does not require its member schools to pay for medical coverage or provide continued academic support for injured student-athletes. In a letter to NCAA President Mark Emmert, Padilla called for reform, “Neither injury nor poverty should dim the dreams of a student-athlete pursuing a college degree, particularly when their performance has enriched their college and the NCAA,” Padilla said. Many colleges and universities as well as the NCAA are awash with funding from media rights agreements. According to NCAA research staff, college athletics programs annually generate about $6.1 billion from ticket sales, radio and television receipts, alumni contributions, guarantees, royalties and NCAA distributions. The NCAA has a 14-year, $10.6 billion media rights agreement with CBS Sports and Turner Broadcasting. In addition, individual conferences have their own media rights agreements. For example, over the next twelve years, member universities of Pacific-12 Conference will receive $3 billion in media rights revenue from ESPN and FOX. California universities USC, UCLA, UC Berkeley and Stanford will collectively receive $1 billion of that amount. “These enormous profits would not be possible without the hard work and sacrifice of the student-athletes competing on behalf of these institutions. With media contracts now in the billions of dollars, there is no excuse for the lack of support for injured student-athletes. It is time for the NCAA to recognize its moral responsibility to student-athletes, raise its standards, and live up to its stated mission,” Padilla said. Padilla said the NCAA at a minimum should adopt provisions similar to a new California law he authored that went into effect January 1, 2013. California law now requires that the state’s elite Pac-12 universities use a portion of their media rights revenue to provide equivalent academic scholarships to student-athletes who are injured and lose their athletic scholarship, as well as provide equivalent academic scholarships to student-athletes who have exhausted their NCAA athletic eligibility but have not completed their degree, and pay the health care premiums for low-income student-athletes and cover all deductibles for injuries related to participation in an intercollegiate sport program. 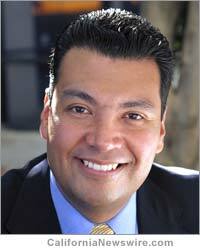 Senator Alex Padilla ( http://dist20.casen.govoffice.com/ ), 40, graduated from MIT with a degree in Mechanical Engineering. He currently serves on the Board of MIT and is President of the National Association of Latino Elected and Appointed Officials. He is Chair of the Senate Energy, Utilities and Communications Committee and represents the more than 1,100,000 residents of the 20th State Senate District in Los Angeles.